zoe nightshade. zoe nightshade. Wallpaper and background images in the The Heroes of Olympus club tagged: muse hero zoe nightshade daughter of atlas. This The Heroes of Olympus photo might contain kawaida mianzi, bambusa vulgaris, mianzi ya kawaida, picha, headshot, and closeup. Camp Half-blood au Camp Jupiter?? Jason and Reyna - I upendo drawing them! I think she looks like Zoe, but Camille Belle looks a little like Zoe too. im with lightning98 i didnt imagine Zoe to look like that but she could be Zoe. No. NONONO. 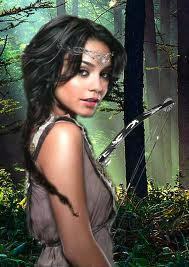 Vanessa hudgens is NOT A DEMIGOD!!!!! Maybe the clothing, maybe the hair, maybe the circlet, maybe.... EVERYTHING BUT NOT THE FACE!!!!!! Totally with @angeldawna.